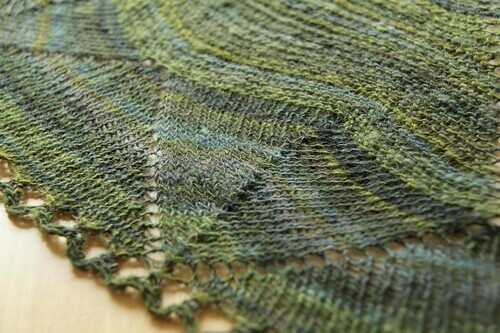 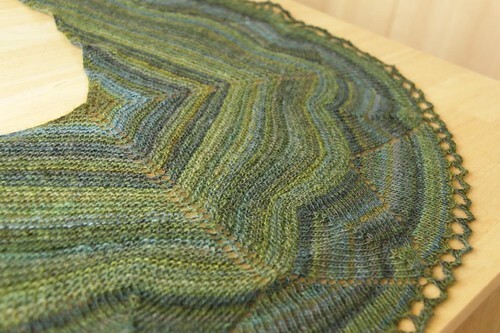 i just finished and blocked this shawl yesterday (well, early morning today actually). 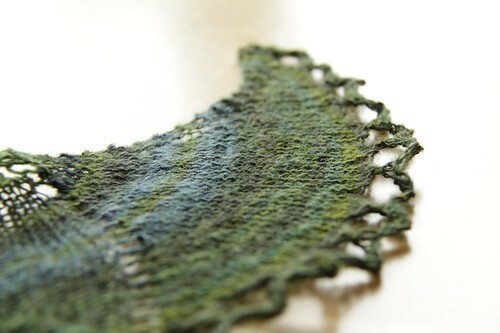 i really like the result and how my handspun singles work with the pattern! 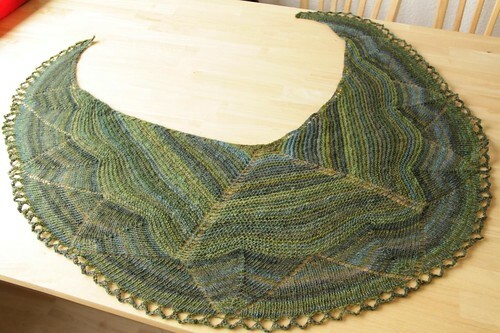 This one is ever so pretty. 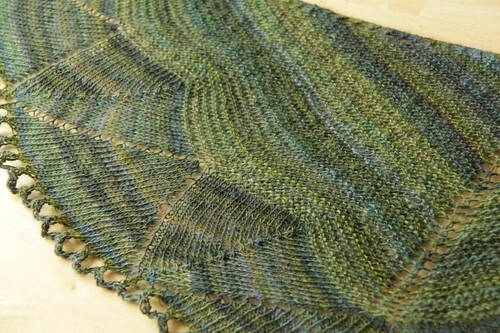 I like the colour sequences of the single yarn.